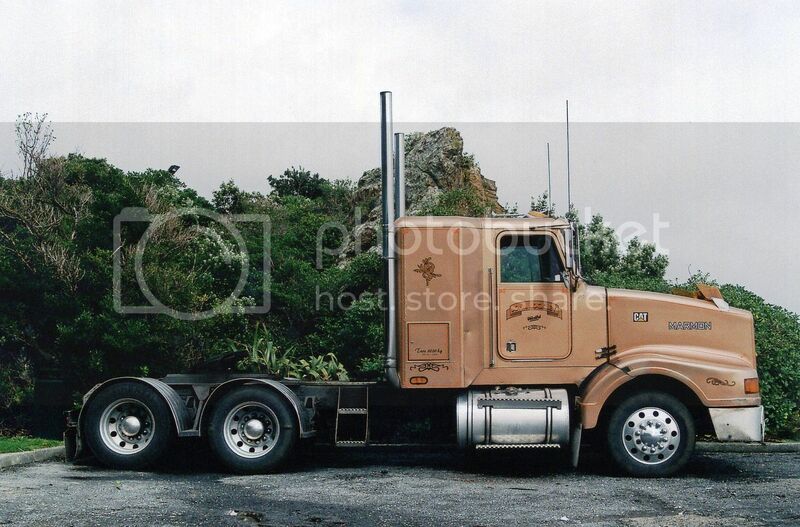 Brand new 2008 International 9500i of Intertruck Forestry Solutions parked in the early morning sun,at Masterton, with an approaching southerly storm only minutes away. 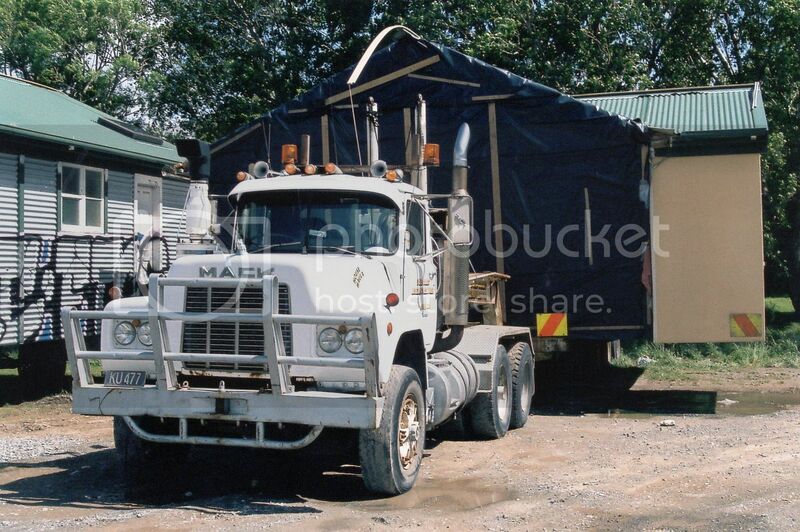 Mack Powerliner of McCarthy Transport at Masterton's Solway Park Motor Inn. 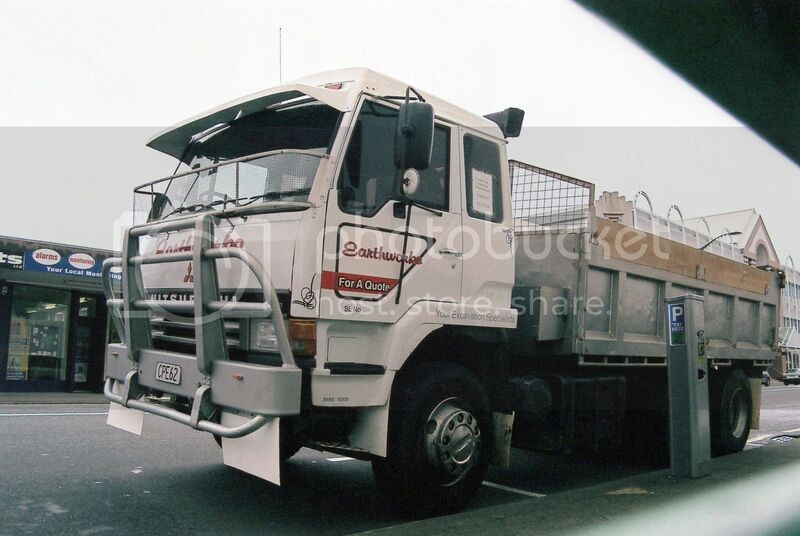 This 1989 Mitsubishi FV418 of G. Sutherland is parked in Lower Hutt's main street. 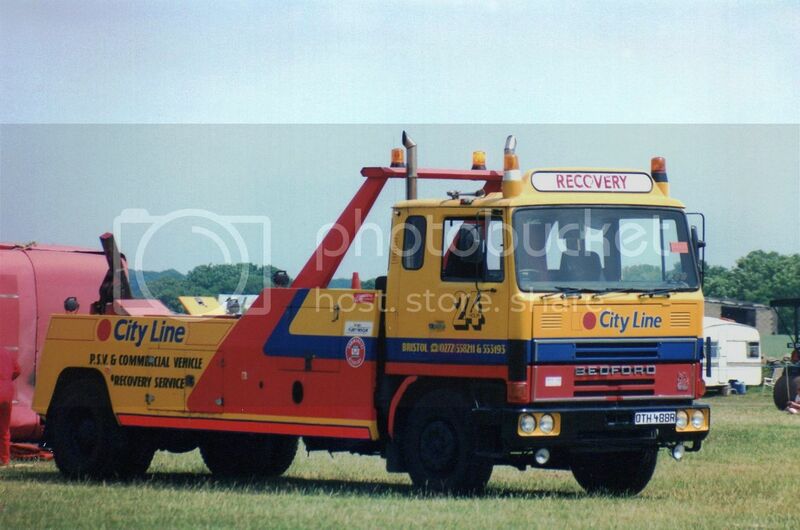 Japanese used import Isuzu Giga "Chinese 6" at Eastbourne. 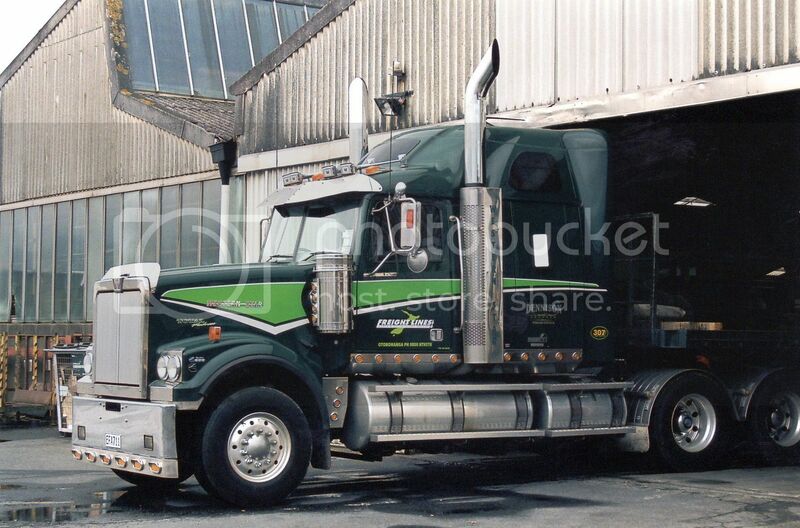 Huge exhaust stacks won't fit through that doorway. 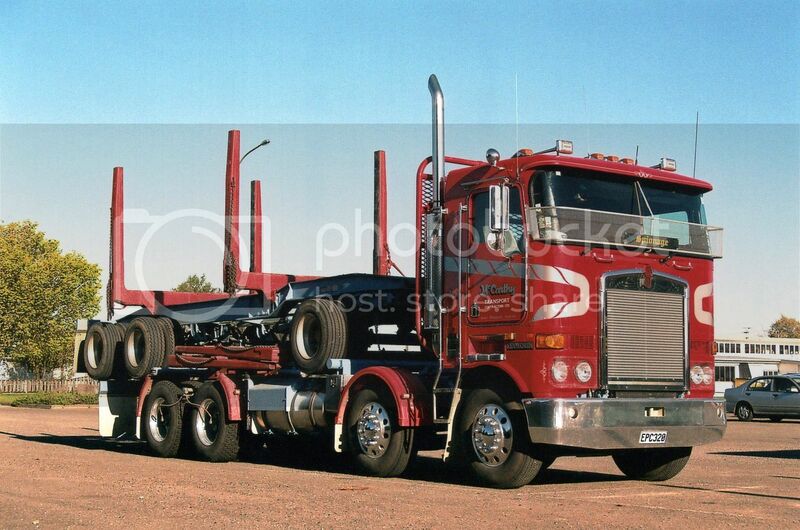 2007 Western Star 4964FX of Dennison's is loading or unloading at Southward's factory in Seaview. 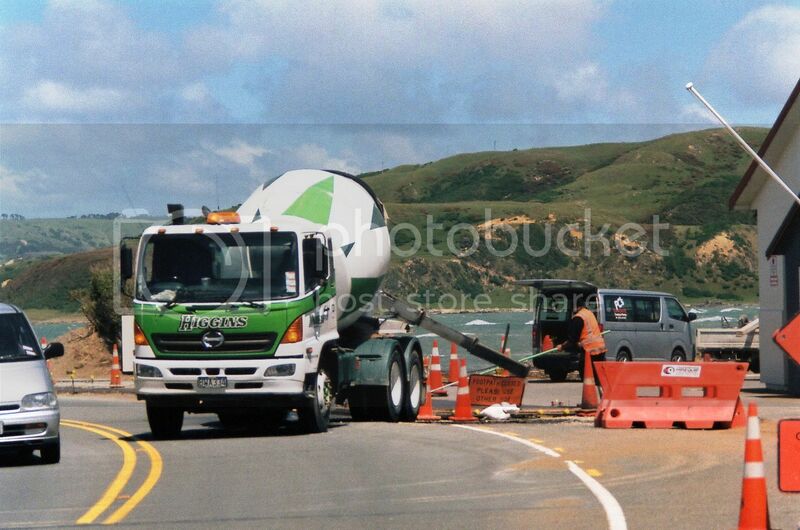 Assisting in laying new curbing at Plimmerton is this 2003 Hino FM of the Higgins group. 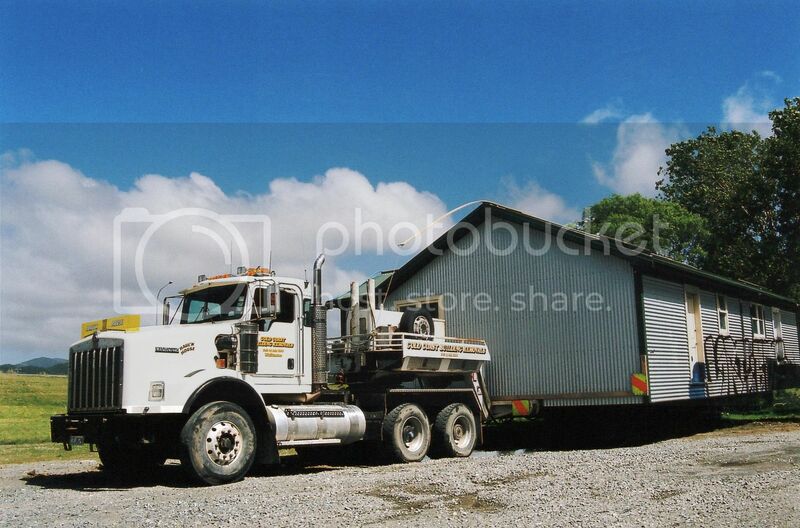 Gold Coast Building Removals 2004 Kenworth C500 waiting at the side of River Road in Upper Hutt waiting to make its move later in the day. 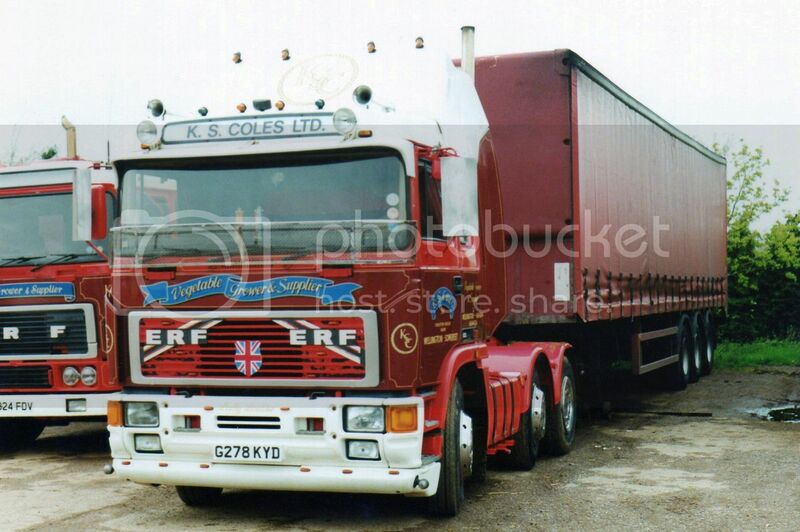 With the other half of the above building is Gold Coast's Mack R688RS from 1982. 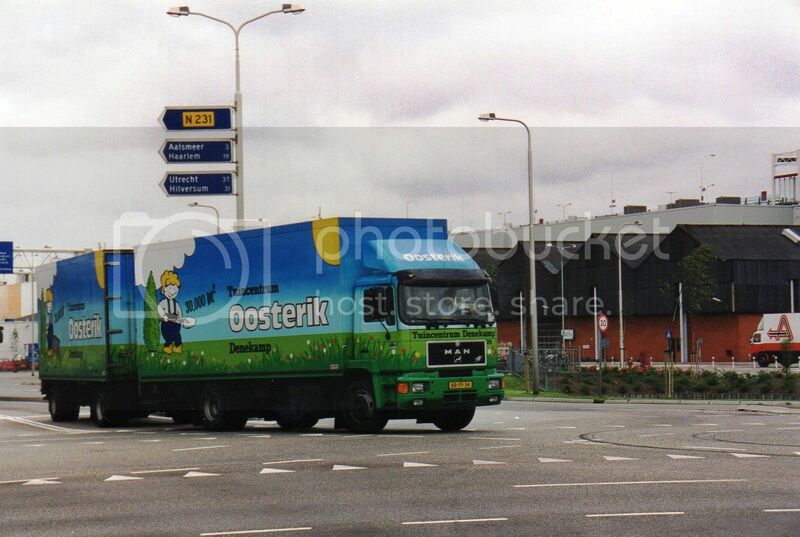 Still working in the late 2000s. 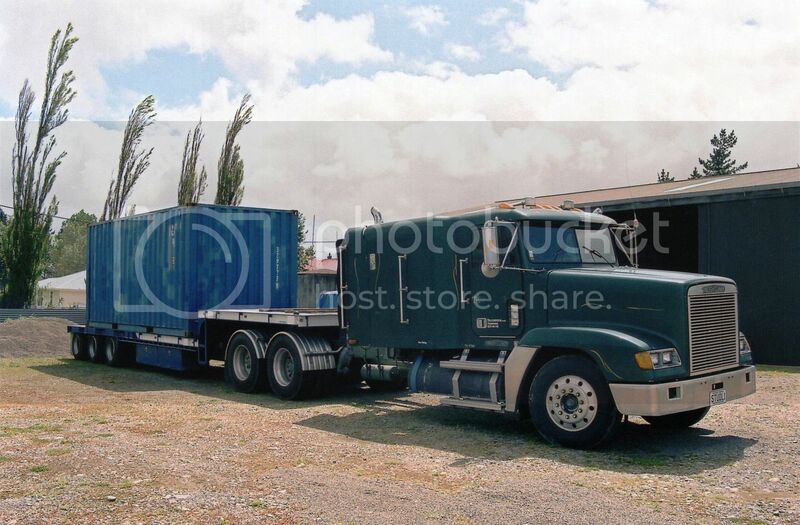 Transweld's Freightliner FLD based at Colyton is rare in NZ with its long wheelbase and huge integral double sleeper. 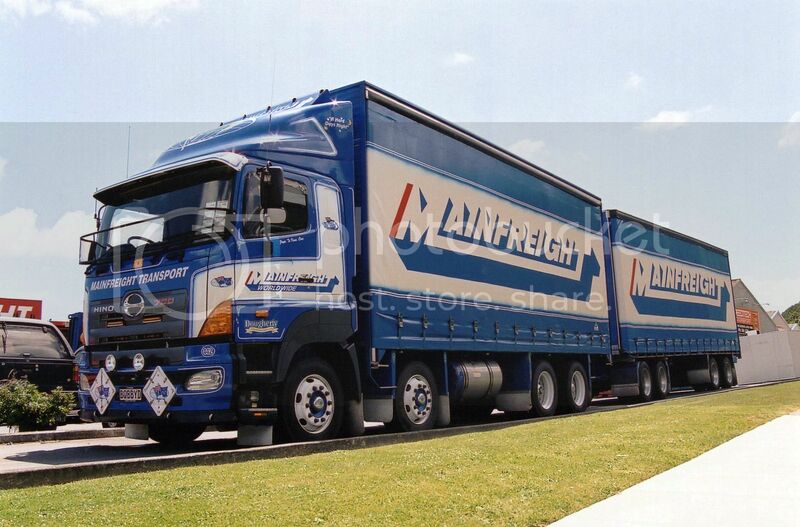 Under the Mainfreight banner, Bobby D (J.R. Dougherty) operates a couple of rigs in the green of Hansell's Food Group, but he also operates this 2006 Hino in the standard Mainfreight blue livery. 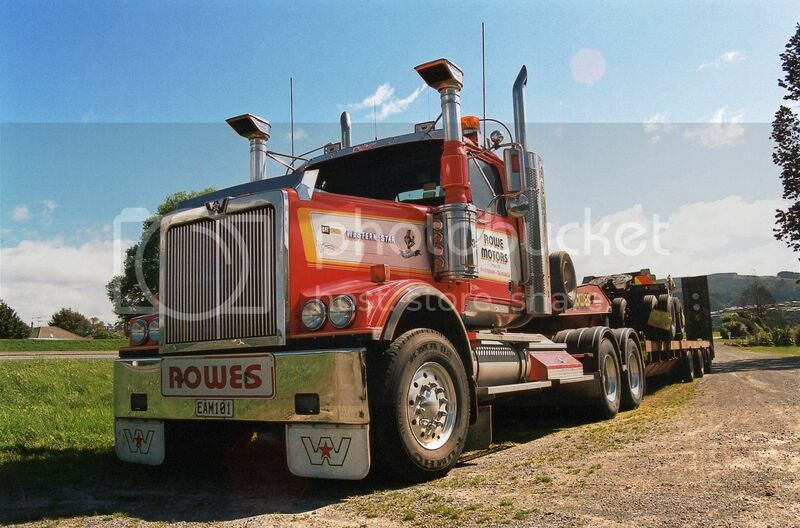 Rowe Motors' 2007 Western Star 4964FX parked beside River Road in Upper Hutt. 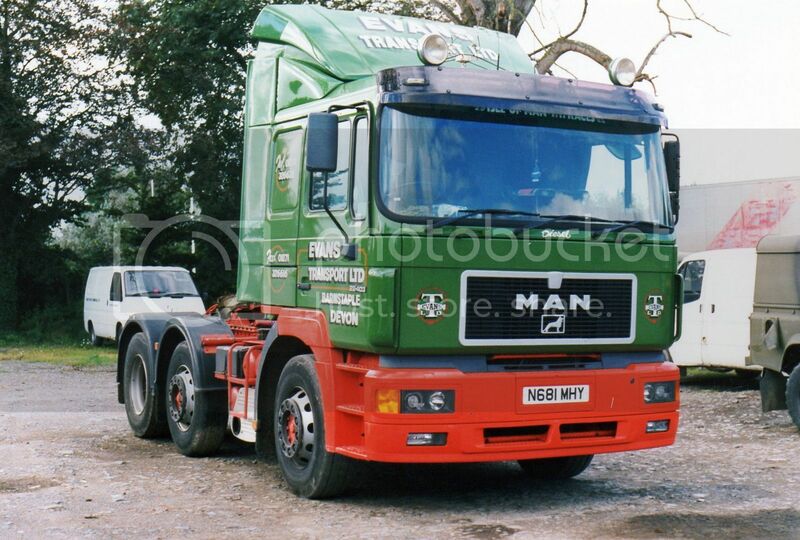 Guy Small operated this 2007 MAN TGA 26.350 in Owens' colours. 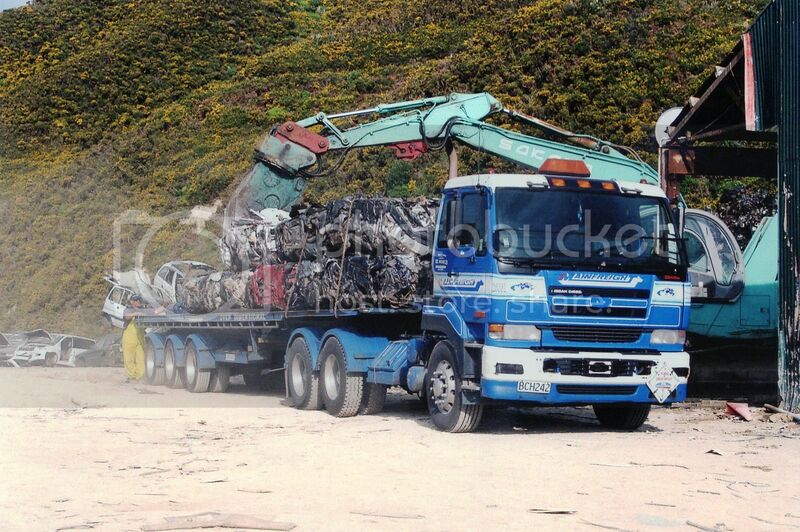 A 2002 Nissan CW440 loads up with crushed cars at the "Pick-a-Part" yard in Naenae. 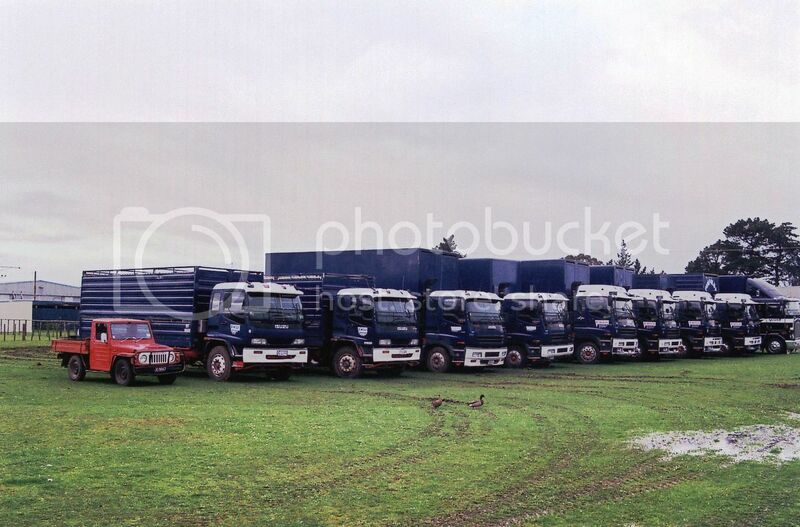 Pinfolds' fleet are not often seen all in the same place at once, but this wet winter's day in August 2008 was the the day Podge Pinfold was laid to rest and the fleet was lined up in the field in front of their yard as a guard of honour. 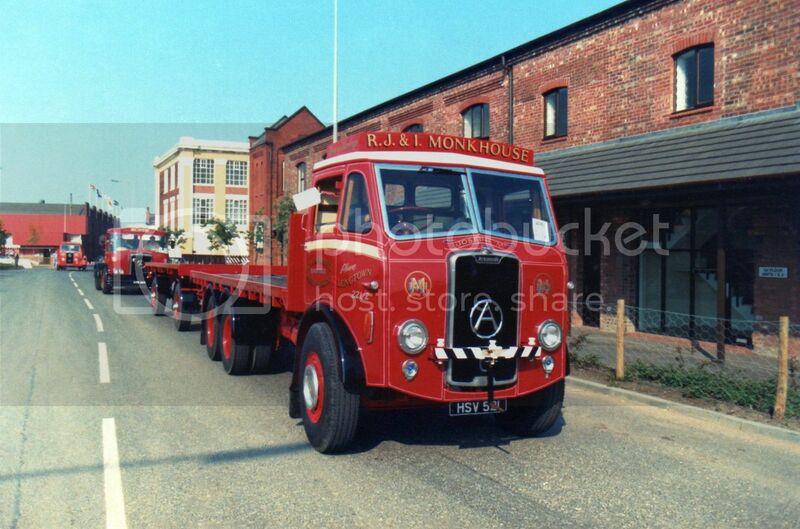 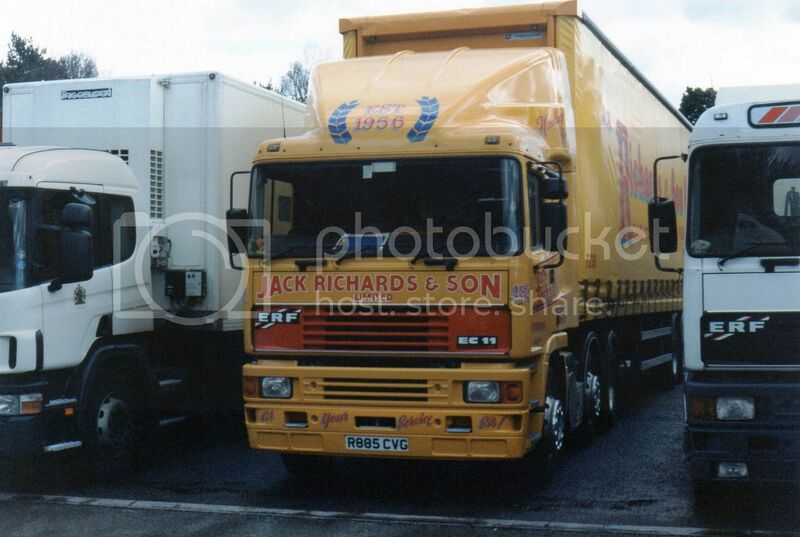 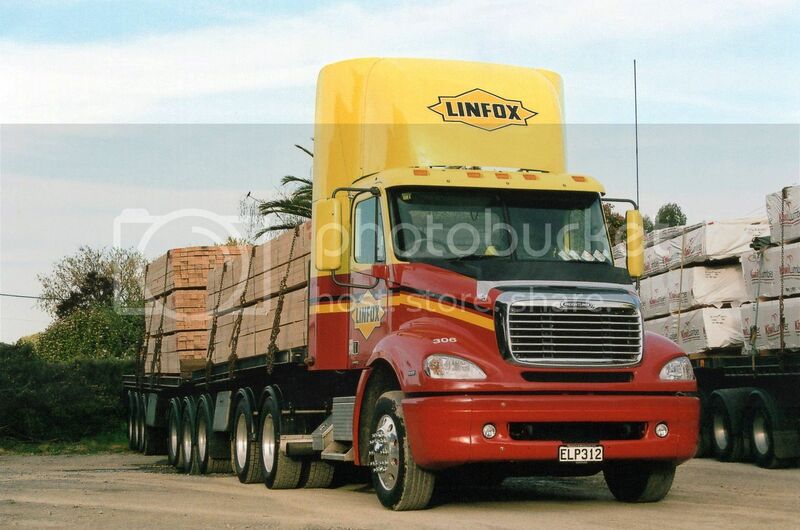 A side profile of John Lockley's '97 Marmon..
2001 Mercedes-Benz 2657 Actros with the high set cab. 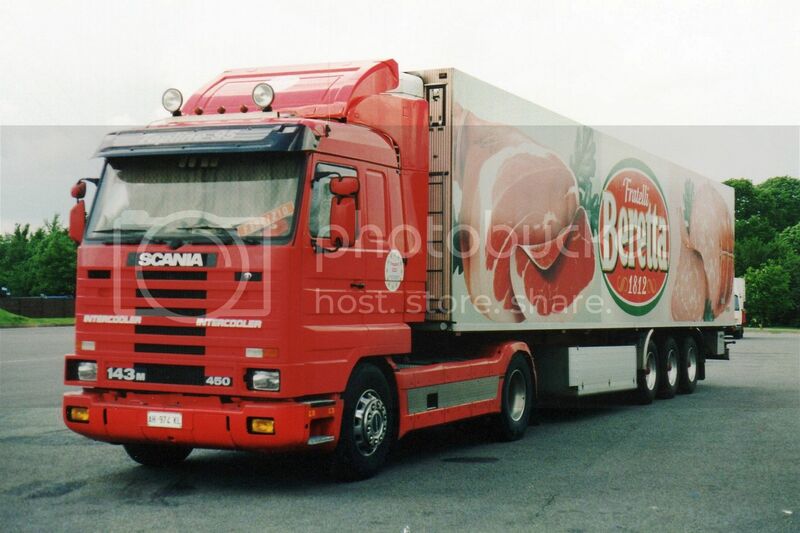 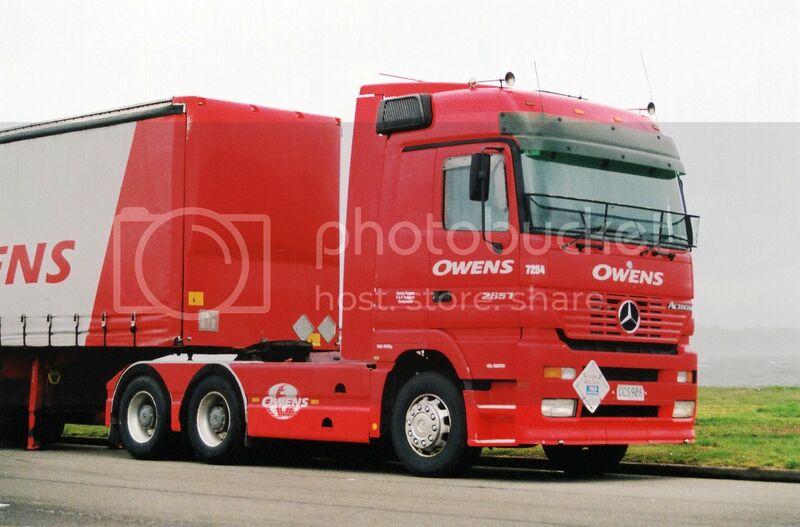 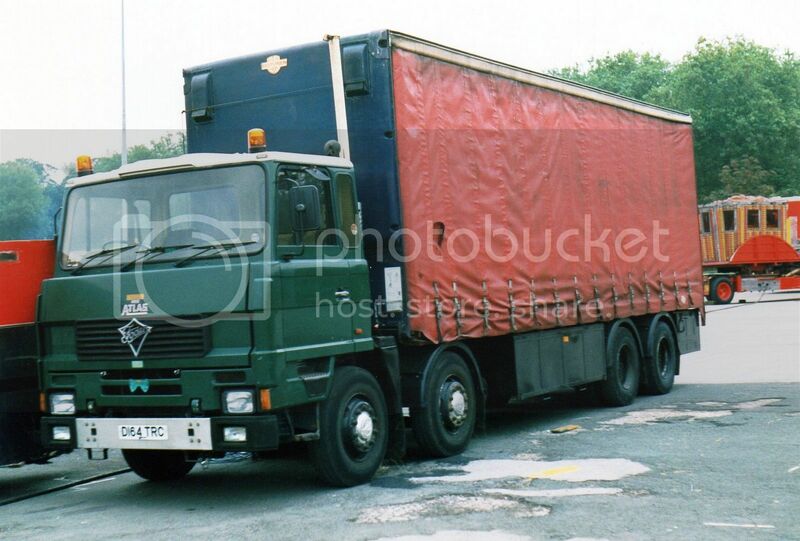 R.J.Keenan's 2002 Mercedes Actros 2653 with the medium height cab. 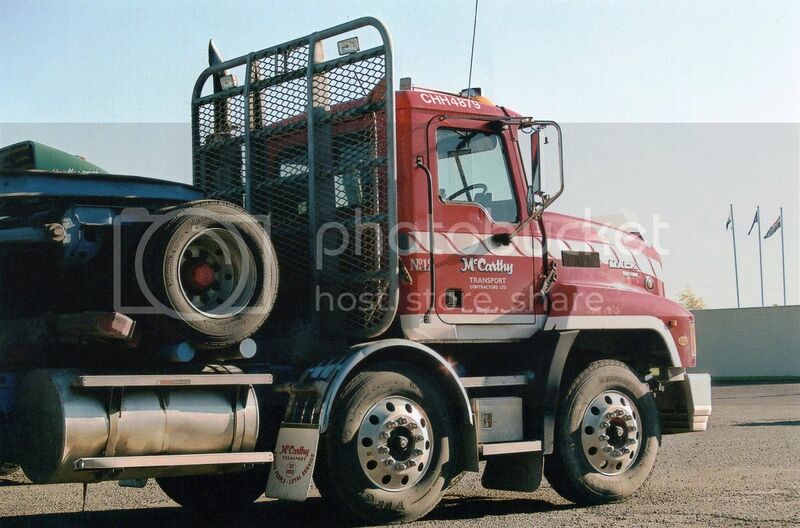 A McCarthy Kenworth K 108 from 2008. 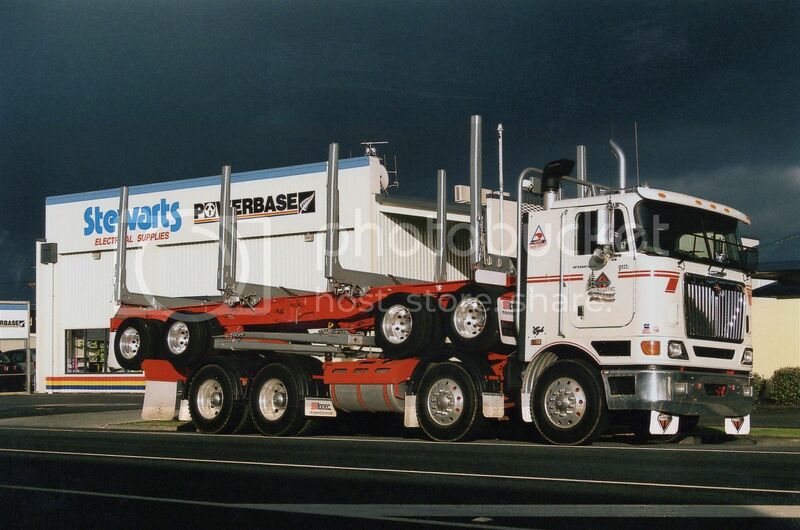 Another McCarthy Kenworth. 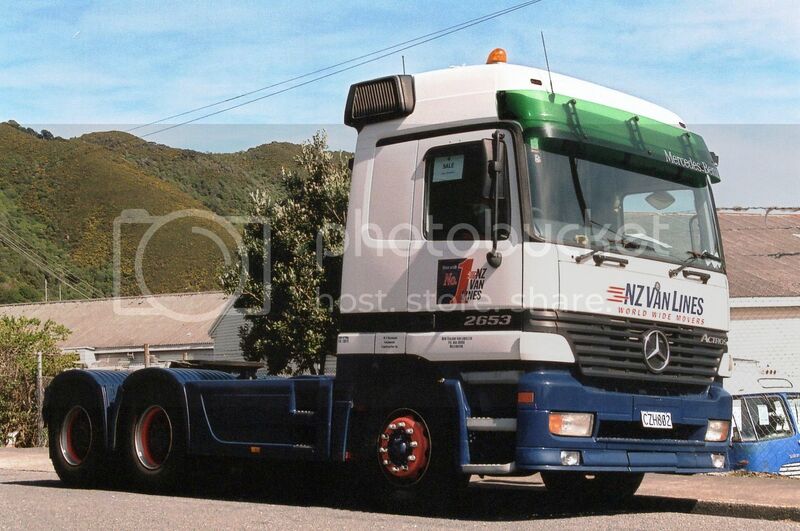 This time a 2007 T404s. 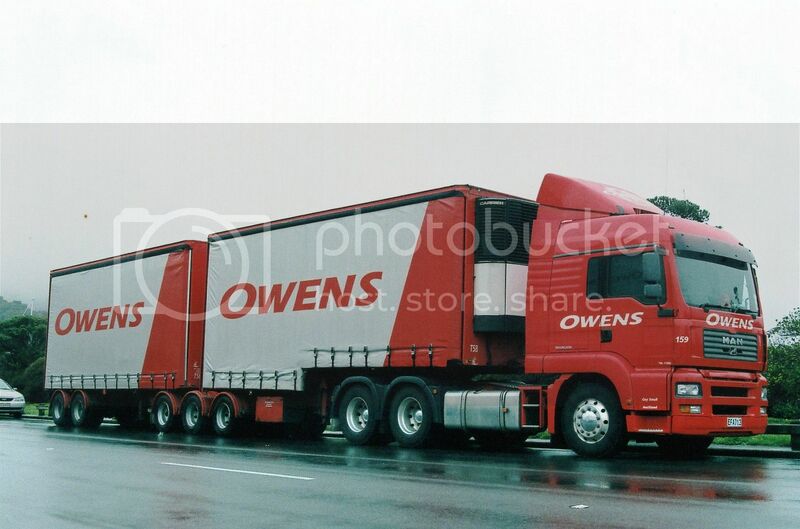 Note the low C.O.G. 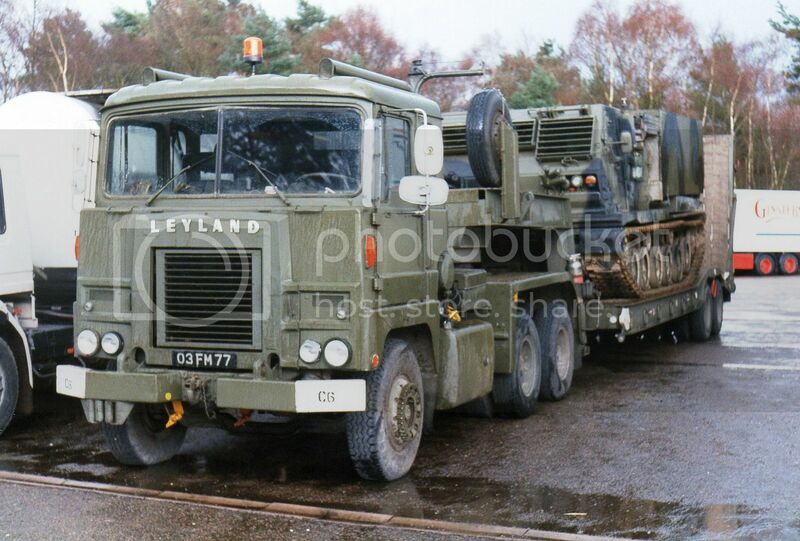 logging trailer with its low profile tyres and underslung springs. 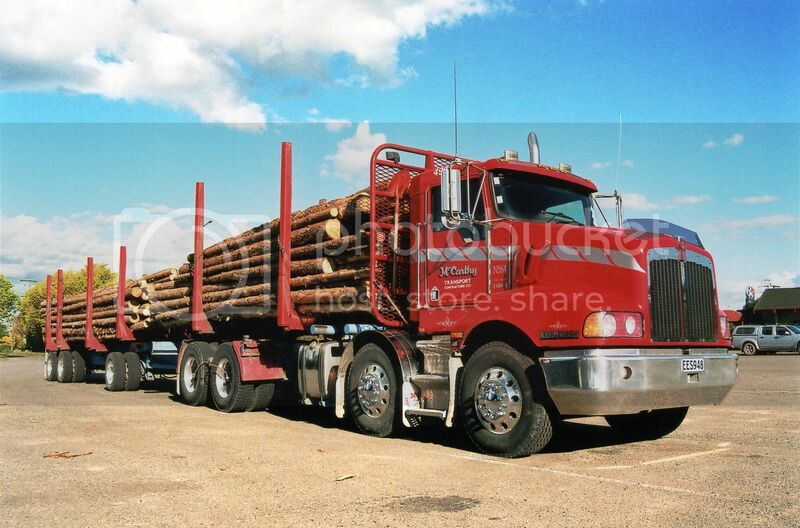 A well secured load of timber on this b-train pulled by a 2008 Freightliner Columbia 112TRA. 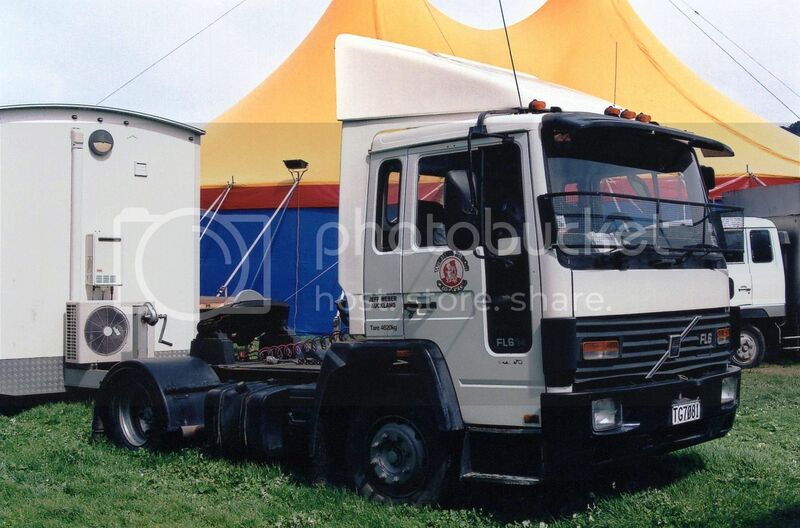 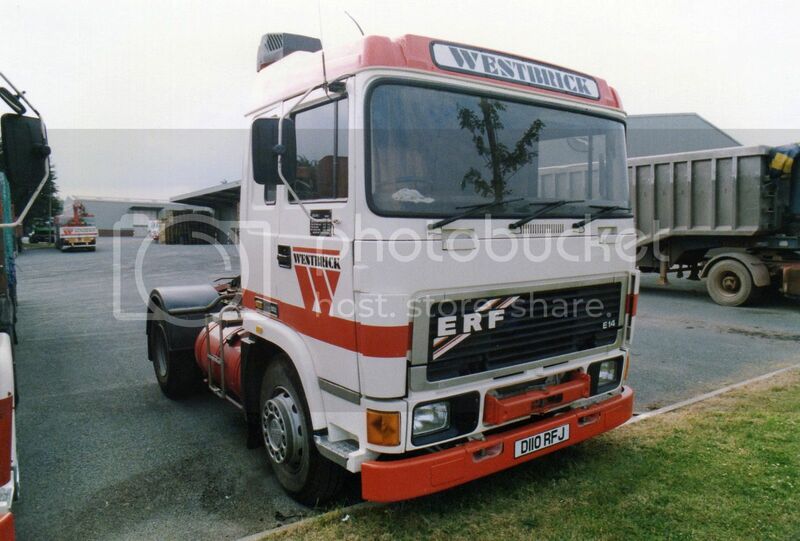 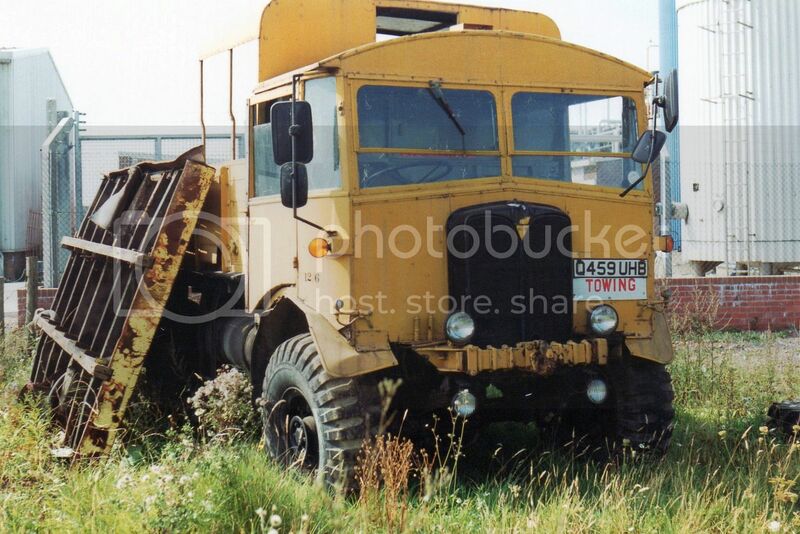 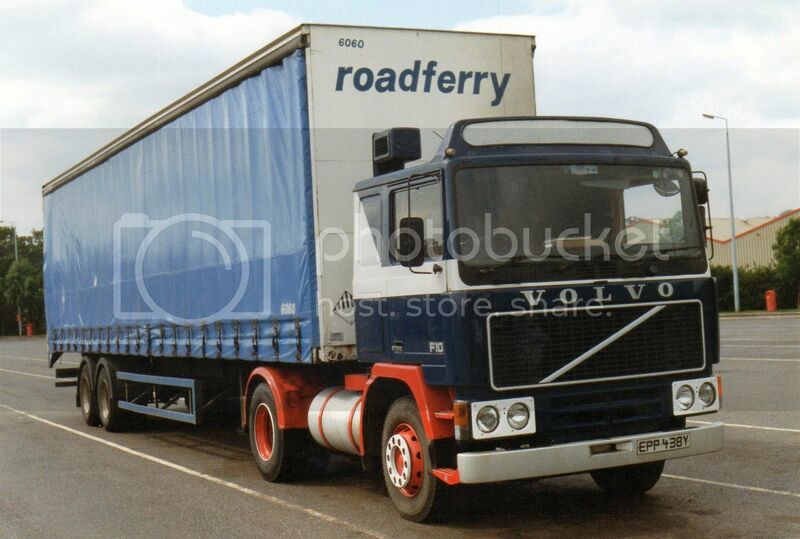 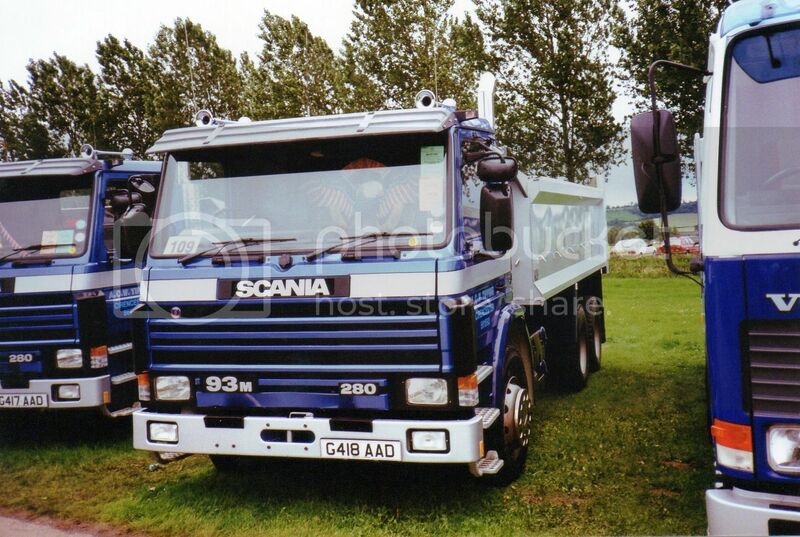 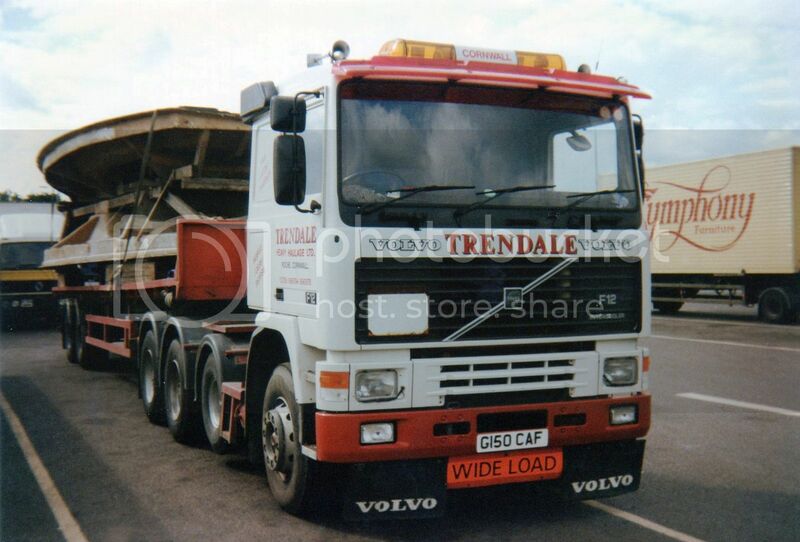 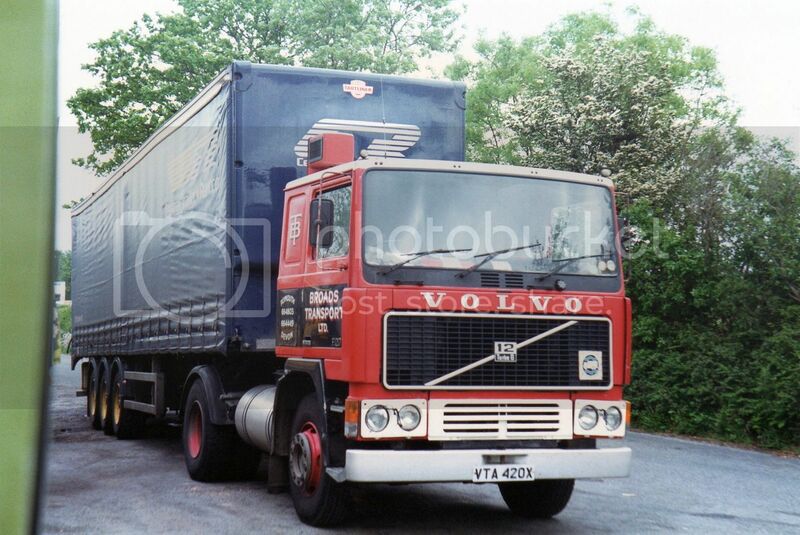 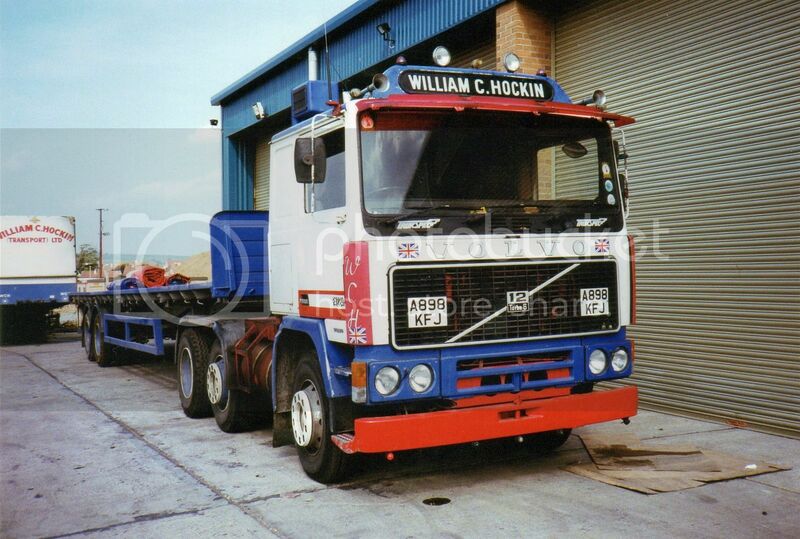 Jeff Weber's Circus were using this 1995 Volvo FL614-210 to help move around their multitude of equipment. 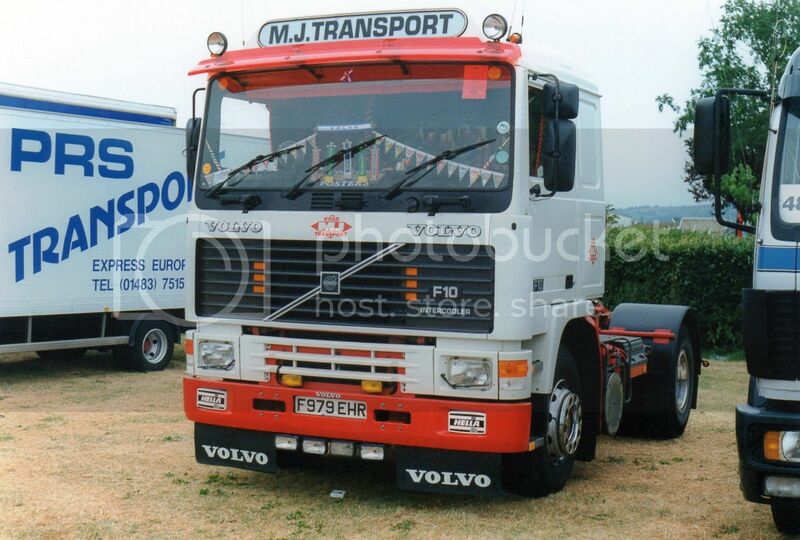 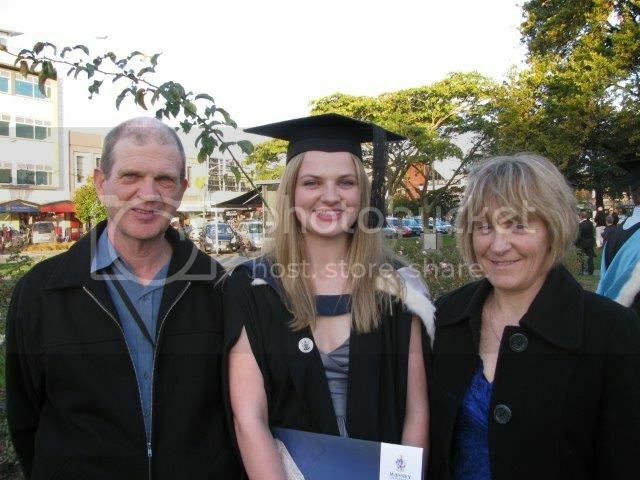 I don't think Volvo ever brought FL6s into NZ, so I am guessing this may be a used UK import. 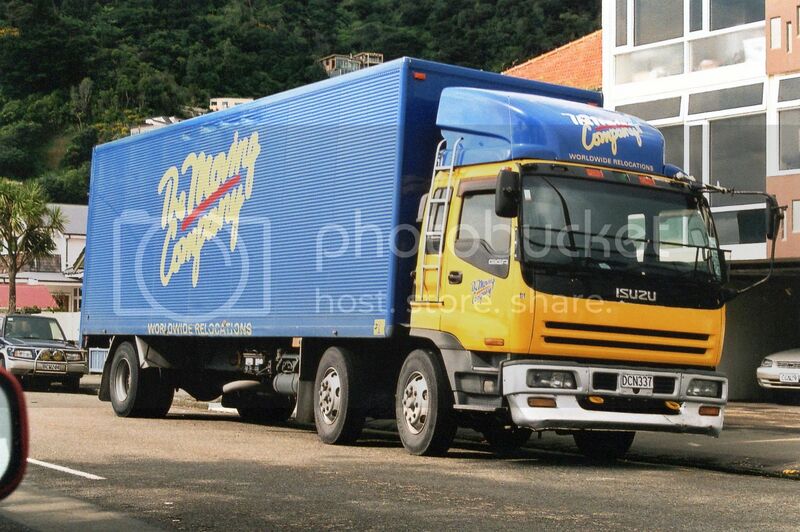 I have seen this van a few times in the Greytown area, but this is the first time I have managed to snap it. 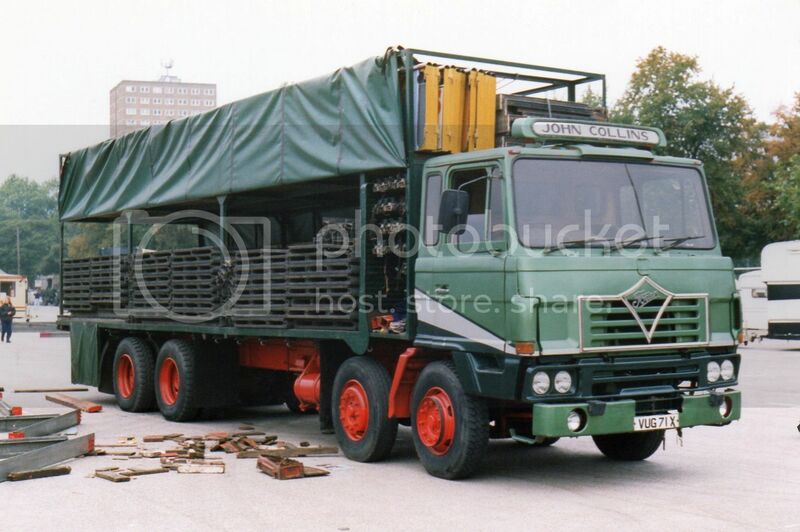 It's a 1968 Fiat 1100T in remarkably good condition inside and out. 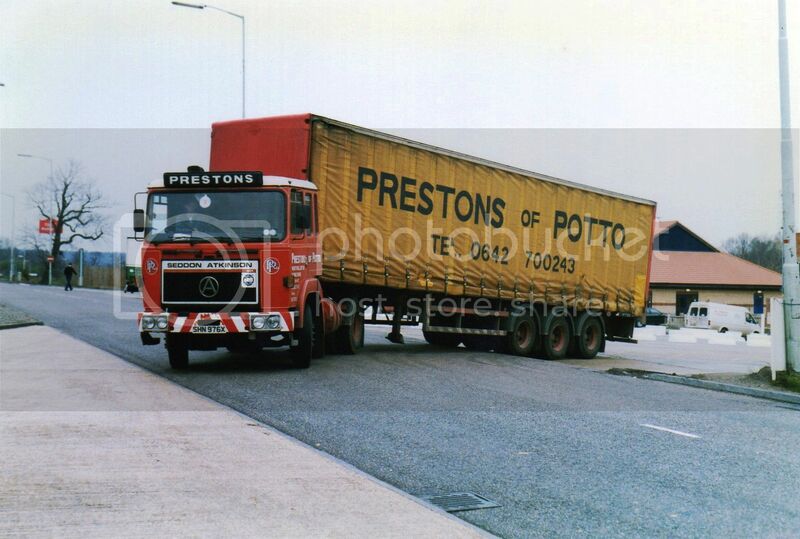 Knowing how Fiats of this era succumbed to the dreaded tin-worm with monotonous regularity, it's great to see one still on the road and obviously well cared for. 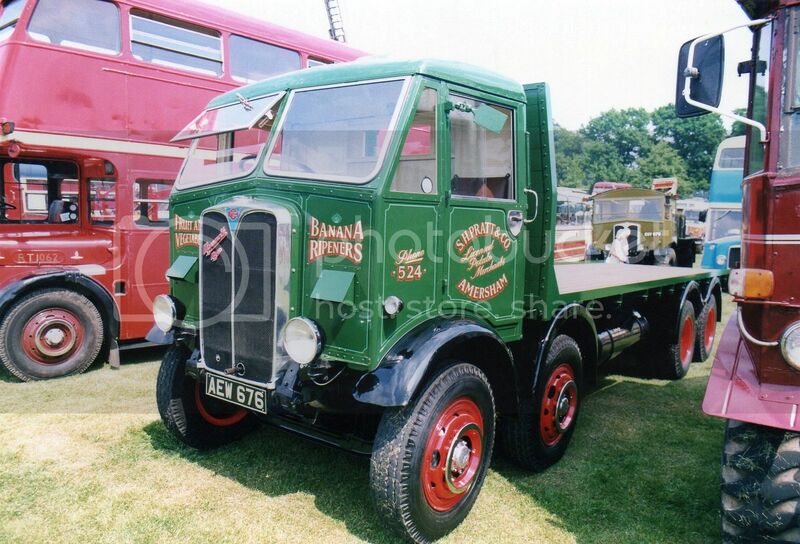 The 1100T was produced as a van and a pick-up from 1957 right through to end of production in 1971. 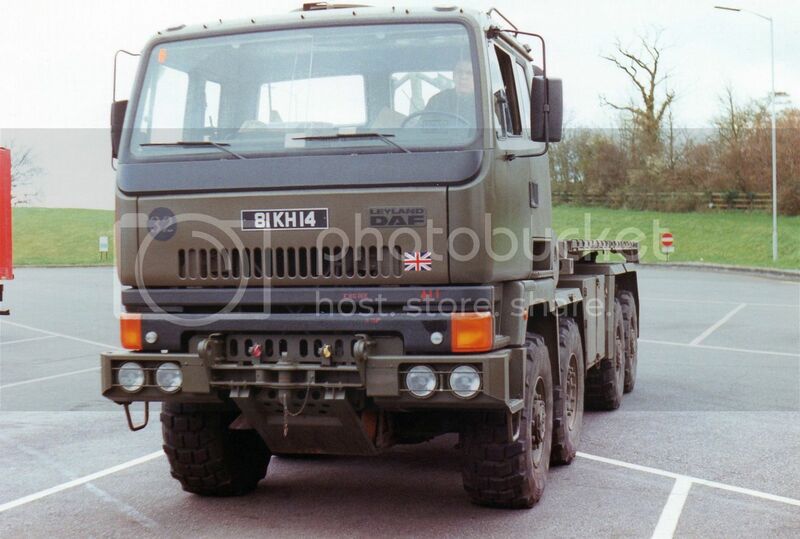 Although labelled 1100, only the first models had 1100cc motors. 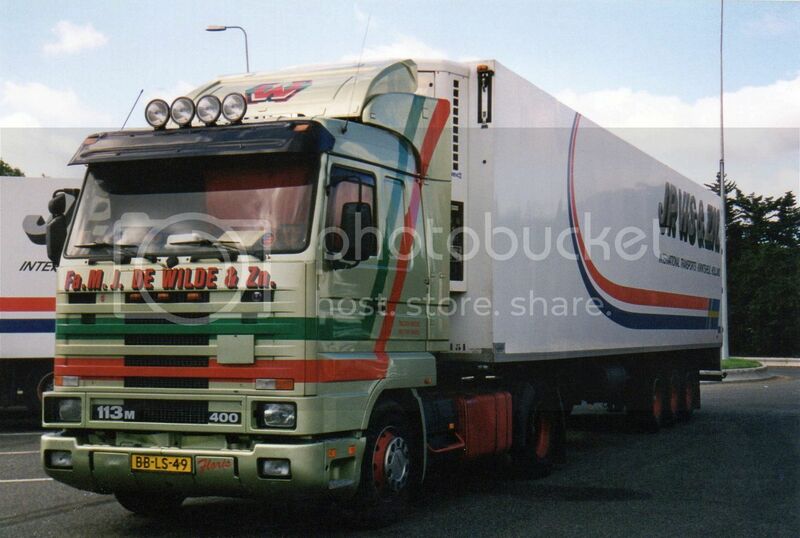 Larger motors were introduced at various stages during production. 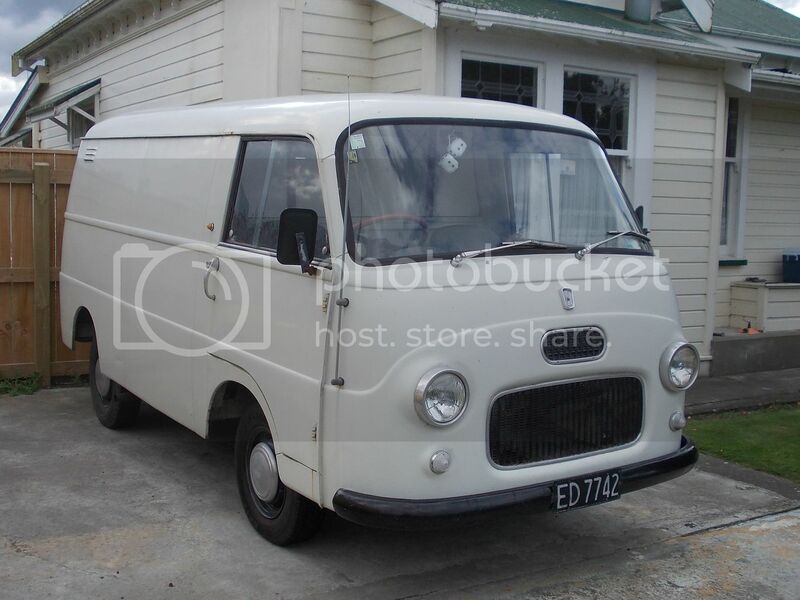 I think they only came to New Zealand for a few years around the time the above vehicle was produced, and as far as I can recall, only as vans.This example is listed as being 1300cc.